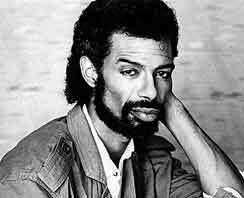 Last Friday the poet, musician and activist Gil Scott-Heron passed away. Best known for his spoken word piece The Revolution Will Not Be Televised, Scott-Heron’s music was one of the most important precursors to hip-hop. We’re joined by E. Ethelbert Miller, board chairperson of the Institute for Policy Studies and poet, to reflect on Scott-Heron’s legacy.